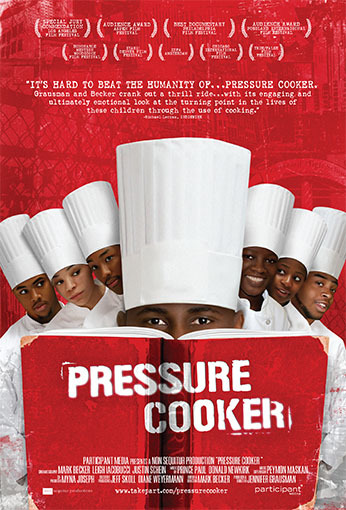 Pressure Cooker profiles the lives of three high school seniors from Northeast Philadelphia, each with unique hardships but with the shared goal of winning scholarships to the country’s best culinary schools. Their unlikely hero is the irreverent culinary arts teacher, Mrs. Stephenson, whose teaching style is hilariously blunt. Mrs. Stephenson is both a surrogate mother and a culinary boot-camp instructor, as she pushes her kids to achieve beyond what anyone else expects from them.